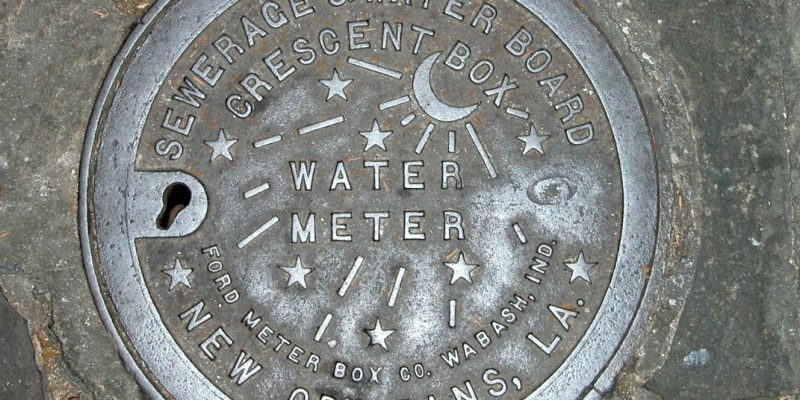 Why Are People In New Orleans Still Getting Clearly Erroneous Water Bills? Twenty-two thousand dollars. For one month. In a single-family house in New Orleans East. Elle Stacker works in real estate, so she’s familiar with what’s needed to get a house up and running. She said her water bills have been the biggest headache in her new home. “I’m getting a bill for the entire city for one month, and it’s just nobody has a definitive answer for how to fix it, and the Sewerage and Water Board think its ok to fraudulently bill me,” said Stacker. Stacker said she has consistently paid around $100 a month. Because for three months, she’s been waiting for the S&WB to investigate the first high water bill she received in July. After spending a frustrating amount of time at the S&WB headquarters lodging complaints and requesting investigations into her account, Stacker said she’s growing fearful. “It is a long, drawn-out process. I probably will not be made whole, this will probably affect my credit, that I probably will have to pay a percentage of the bill that’s not mine,” she said. She’s not alone. Billing issues have plagued the utility with thousands of customers lodging complaints over the past year. In a statement, the Sewerage and Water Board said they believe Stacker’s case is the result of a clerical error that they’re working to correct. This has gone on for months, and it’s a rampant problem. We’ve got personal friends who are victims of it, though the examples we’ve been told about are $400 bills where they should be $60 bills. A bill for $22,000 is an extreme example, though not the most extreme – earlier this year somebody got a $31,000 bill for a 1,000 square foot rental house in Treme. Perhaps nothing can be done about the fact the people given the opportunity to “run” the Sewerage and Water Board can’t keep New Orleans from flooding when the city gets an inch of rain. We already know throwing money at that problem doesn’t work – they just steal it when it comes in. New U.S. Attorney Peter Strasser will all but surely open a federal investigation into that. But Strasser can’t fix these hilariously inaccurate water bills, because generally they’re not the product of criminality on the part of the S&WB’s management (which is not to say there isn’t criminality; there surely is, it’s just not the active ingredient here) – it’s the incompetence which causes those four- and five-figure bills. You want to know how to fix that problem? Here’s how. Privatize the damn thing. Put the delivery of drinking and other water on the auction block and let private companies or investors bid on it, and let’s see if the productive sector can’t come in with electronic metering and billing, a proper online accounting and payment system, trained and competent employees to troubleshoot problems and managers who aren’t crooks. Yes, it would be a catastrophe that the city’s political class wouldn’t be able to stick their fat thumbs into the pie and use the Sewerage & Water Board for a patronage and corruption engine anymore. All Louisiana would mourn the loss of that. But surely we could get over it once the prospect of having potable water it’s not necessary to boil first emerge from one’s faucets and a water bill coming in each month of $60 rather than $22,000 might materialize. Other places have a private water company servicing their municipal needs, and it’s quite common to receive accurate water bills and drinking water free from brain-eating amoebas. In fact, people living in those locales take such ongoing miracles for granted. New Orleans could be one of them. All that’s required is some good old-fashioned public outrage sufficient to scare the bejesus out of the malignant cretins governing the place, and they’d likely drop that hot potato into the lap of private business. We won’t hold our breath, of course. And we absolutely won’t drink the water.